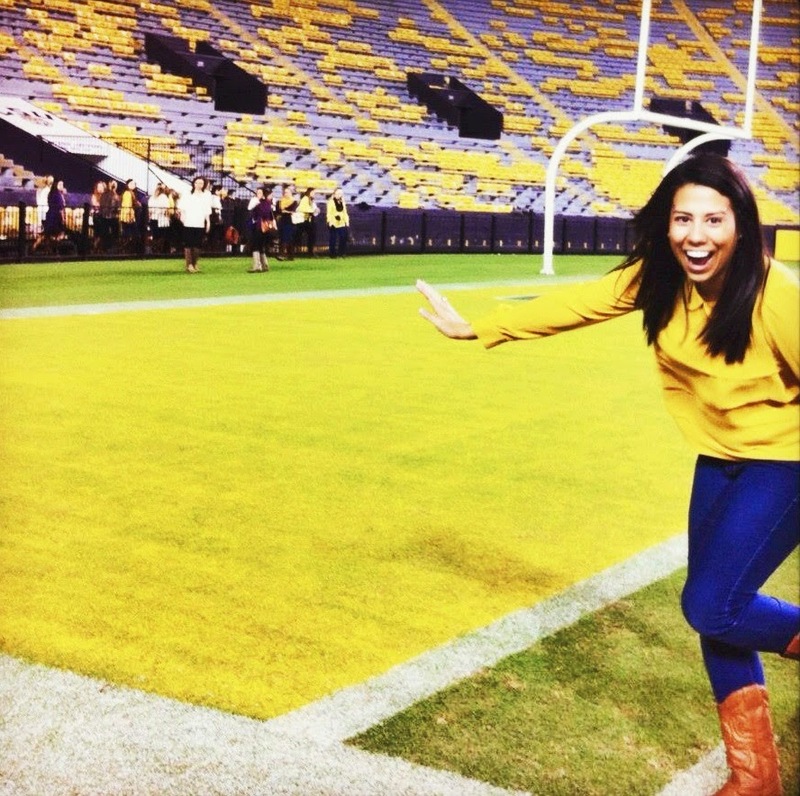 In downtown Baton Rouge, there is a lot to take in--the historic buildings, the artwork, the sight of the Mighty Mississippi in the distance and so much more. While you&apos;re downtown, you have to stop by North Boulevard Town Square, too! 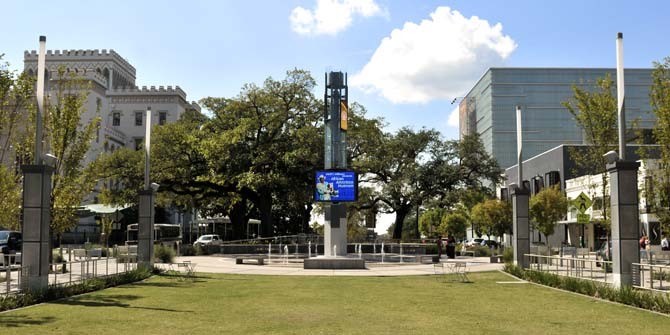 Town Square is a relatively new green-space development to host Baton Rouge&apos;s cultural and civic attractions! It features more than an acre of open green space, particularly in the Town Lawn area, and includes water fountains that help cool the landscape from the Louisiana heat. There&apos;s café seating, benches and game tables for visitors to enjoy a meal outdoors. As part of Beacon Plaza, there are two large digital screen used for airing videos. Town Square also serves as the primary transit hub for downtown featuring a covered transit station, and transit information conveyed through real-time GPS and display. 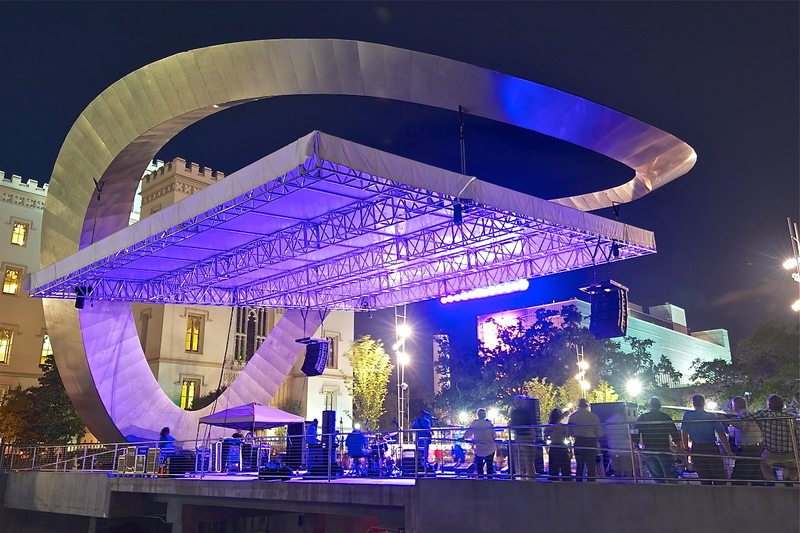 One of my favorite parts of Town Square is Galvez Plaza, which features a permanent event stage for large events in the heart of downtown, providing downtown with a first-class outdoor entertainment venue. 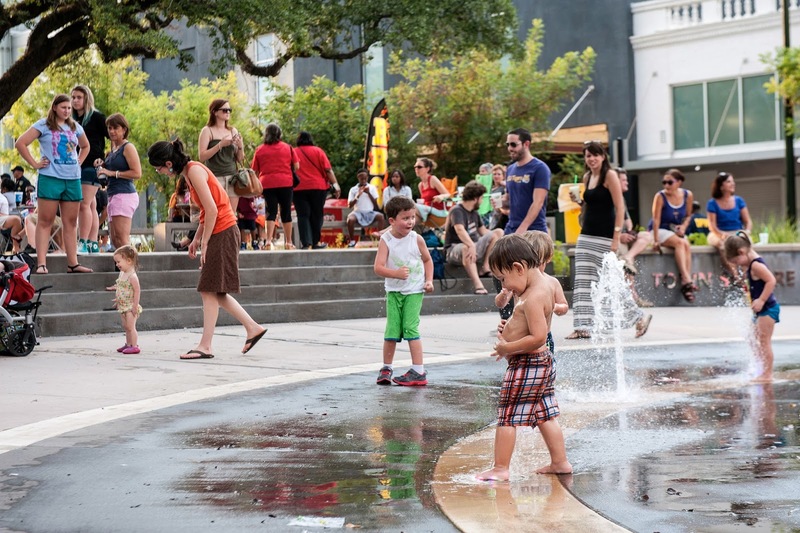 As downtown&apos;s premier public space, there are tons of activities also going on! Check out the Town Square calendar for more information.